Can be visited all the time throughout the year, however Halong Bay sees a small number of visitors during the months when the temperature is high and storms occur frequently in the bay. It is said that the period from September to November is the best time to enjoy lower temperatures as well as safer weather conditions. 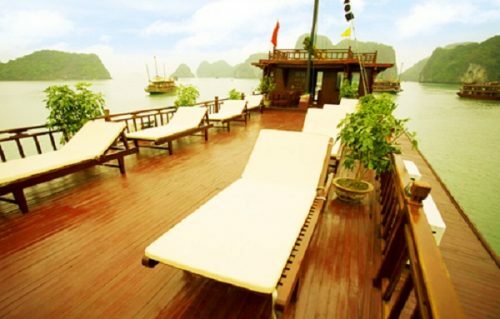 However, the best time to visit Halong Bay bases on your own definition of a relaxing trip. 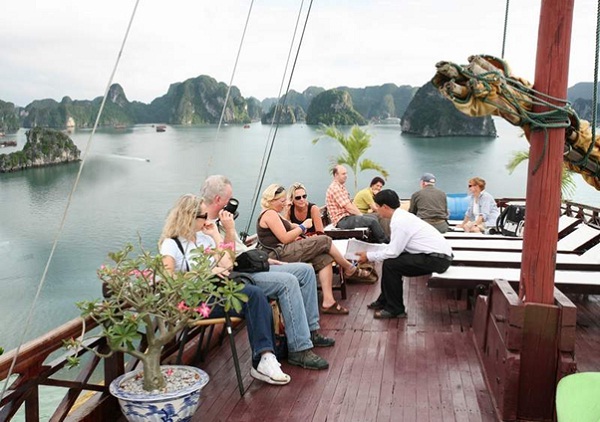 For those who are a budget minded travelers, it is advisable to plan their trips between May and September which is often claimed as the low tourist season in Halong Bay. During these months, tourists can get advantages of many massive sale off on cabin offered by various cruise ships and can save as much as 40% compared to the other times in a year. But you should remember that there are always sporadic hurricanes and storms during the two months of July – August, your trip can be cancelled or delayed. 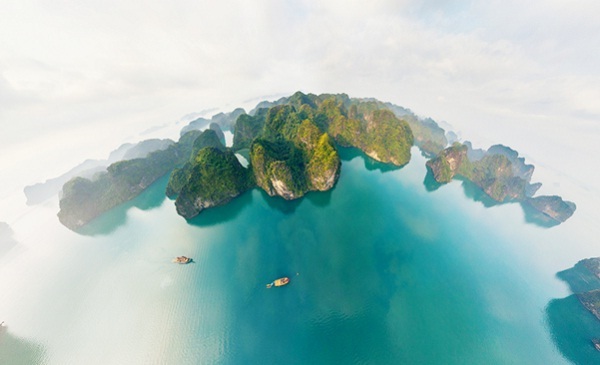 In those situations, switching around by visiting the other tourist destinations in the North of Vietnam and visit Halong Bay later is not a bad idea. 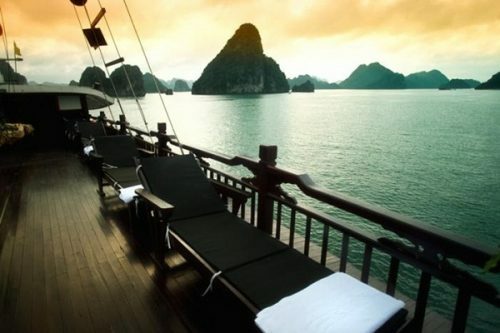 If the option of time does not matter you and you can enjoy your trip as much as when you do it in any months and days of the year, it is easy for you to have an unforgettable vacation in Halong Bay. 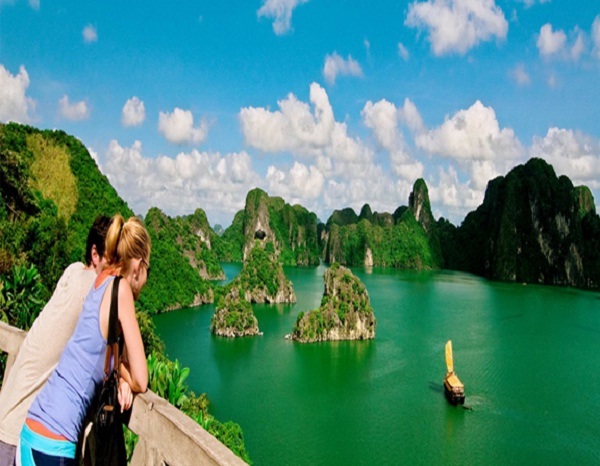 In the hot tempered seasons you can get a chance to swim in beautiful beaches and in the lower temperature seasons you will enjoy Halong Bay in an attractive way such as enjoy a mouth watering BBQ lunch in one of the most spectacular caves in the most outstanding natural complex of the world – it is all about your memorable moments. 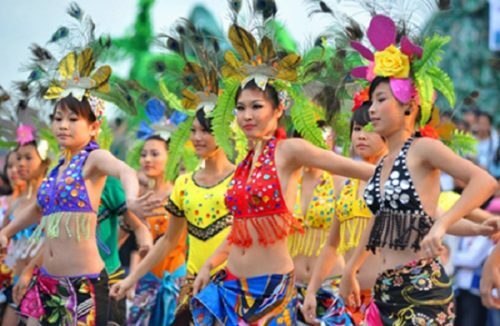 Every year a large number of interesting festivals are celebrated in Halong City in April. In spite of the large amount of tourists in the area during this time, it is still advisable to pay a visit to Halong at this time. In good weather condition, tourists can go on a tour of the area on a beautiful junk or a sailing boat as well as explore the charming beauty of this area by joining in kayaking. Do not forget to bring with you enough clothes to keep you comfortable including a swim suit, some shorts and t-shirt when visit the area.